Try to find in this easy word search some irregular nouns in the plural form. 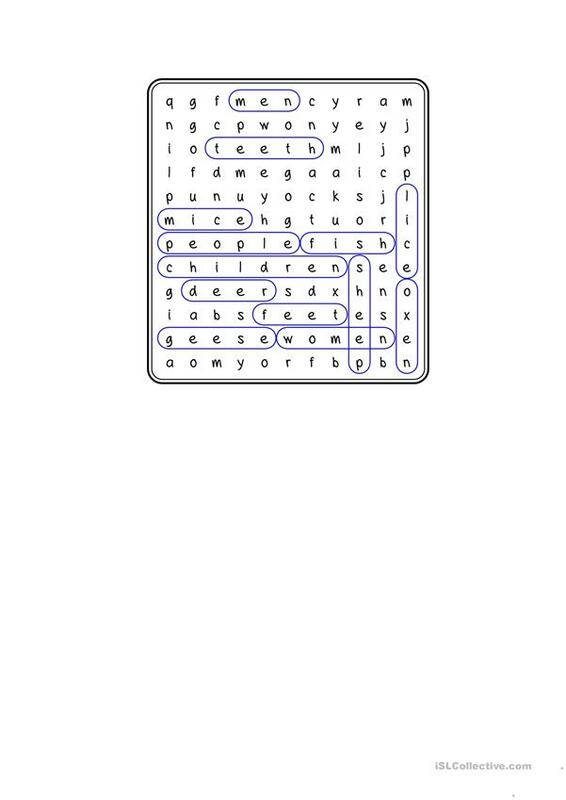 You can use word searches as a way to reinforce vocabulary students to learn through reading. It does help to develop their visual acuity for recognizing English words. 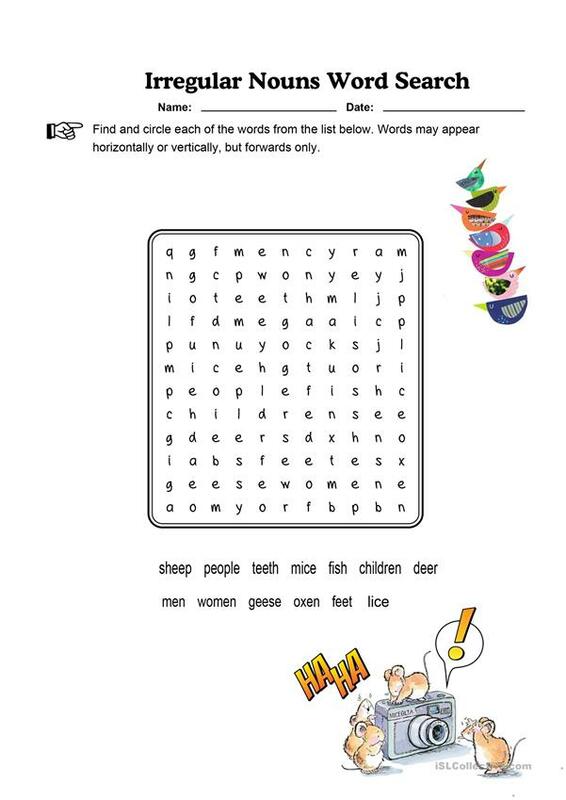 This downloadable teaching material is meant for kindergartners and nursery school students and students with special educational needs, learning difficulties, e.g. dyslexia at Beginner (pre-A1) and Elementary (A1) level. It is aimed at teaching Nouns in English. There is a key provided with the exercises. I’m Greek and have been teaching English on the island of Crete since 2007. My hobbies are Photography, travelling and gardening. You'll find my worksheets here which I decided to share with you. "Urania u-ra-nia as a girl's name is of Greek origin, and the meaning of Urania is "heavenly". Urania was one of the Greek Muses, the nine daughters of Zeus and Mnemosyne (goddess of memory) identified with particular arts and sciences. Urania was in charge of astronomy.The muses sing, dance, and play and are free from care. They inspire those they touch to do the same. ..."